If you are planning to host a social gathering, whether it is to celebrate the holidays, mark a special occasion, or simply to get together with friends and family, it would benefit you to understand your legal responsibilities under New Jersey’s social host liability laws. New Jersey has some of the most complex laws in the country governing the sale, possession and consumption of alcoholic beverages; in fact, many of these stipulations are unique to New Jersey. Some of these laws pertain to who can be held responsible for alcohol-related injuries. Former police officer Victor Rotolo has years of experience representing clients in these matters. The attorneys at Rotolo Karch Law understand that each case is unique and requires an individual approach. 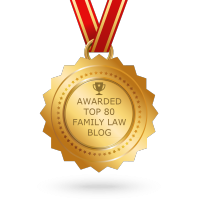 They focus on the particulars of your case to help minimize the consequences. · the server knew or should have known that the individual was under the legal drinking age. New Jersey’s social host liability laws are similar, but they pertain to individuals who provide alcohol in a private social setting. Providing alcohol, under these laws, includes making alcoholic beverages available through self-service or allowing another person to bring alcohol to the event. the value of services related to household and childcare responsibilities the person would have performed if not injured. The injured party may also seek punitive damages from the host or the host’s insurance company. That person has two years from the date of the injury to file a social host liability lawsuit under the State’s statute of limitations. · parents or legal guardians are allowed to serve alcohol to their own children in a private setting. The latter exception excludes friends and acquaintances of the minor child, so parents may be faced with fines and possible jail time if their children hold a party on their property and alcohol is consumed by anyone under legal age, whether or not the adult is present on the property at the time. Adults who violate New Jersey’s social host laws can be held liable if the underage drinker is killed or injured in an accident as a result of his or her drinking and sued for damages including medical expenses and property damages related to the accident, as well as for emotional pain and suffering. New Jersey state laws grant substantial discretion to municipalities in regulating the sale and consumption of alcohol within their boundaries, so it would be beneficial to familiarize yourself with your local ordinances. Generally speaking, however, you can diminish your risks of being liable for alcohol-related injuries under New Jersey’s social host liability laws by providing non-alcoholic refreshments; offering alternative means of transportation or overnight accommodations; discontinuing service of alcohol to visibly impaired guests, and never serving alcohol to minors. 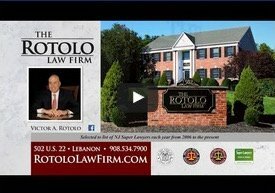 If you need an experienced attorney to represent you because you either knowingly or unknowingly violated New Jersey’s social host liability laws, contact Rotolo Karch Law. Likewise, if you are injured as a result of the actions of an intoxicated person, Rotolo Karch Law can help prepare your case for damages resulting from your medical expenses and pain and suffering. Our attorneys have in excess of 125 years of experience litigating personal injury lawsuits and will work to help you recover the damages you are entitled to or to defend your rights under the law. Call our offices at (908) 534-7900 to discuss the particulars of your situation.